I recently had a back-and-forth email discussion with an InvestorPlace reader about the pros and cons of owning AT&T Inc. (NYSE:T). My argument against owning T stock comes down to leverage. (You can read some of my thoughts on the subject here, here and here.) The reader felt that AT&T is one of the best communications companies available in the public markets. Interestingly, despite our divergent views on the subject, we managed to come to the shared conclusion that an even more significant concern for AT&T is its underfunded pension, which stood at $13.6 billion in the hole as of Dec. 31, 2016. Add Time Warner’s pension obligations to the pile and you get approximately $45 billion in unfunded pension and post-retirement benefits plus $175 billion in long-term debt. Investing is about making smart choices. I don’t care what kind of cash flow a business has, a $220 billion financial obligation is daunting and one I’d recommend you avoid at all costs. AT&T isn’t the only S&P 500 company with substantial financial obligations. These seven stocks to sell now also have big underfunded pensions and are best left for speculative investors. 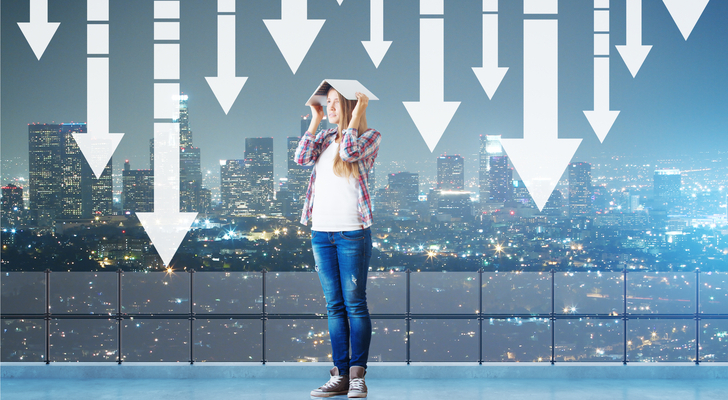 It’s not how you want to be leading the S&P 500, but General Electric Company (NYSE:GE) had the highest pension funding shortfall of any company in the index at the end of 2016 at $31.1 billion. The company’s funding ratio in 2016 was 67%, 280 basis points lower than a year earlier. Add to that $61.6 billion in long-term debt for the industrial portion of GE’s business and you’ve got financial obligations totaling just under $93 billion. The trouble is, GE didn’t just make bad pension decisions post-2008, it also made lousy business calls. That’s why its pension is severely underfunded when only nine years earlier it had a pension surplus of $15.2 billion, making the $31.1 billion deficit $46.3 billion on a relative basis. 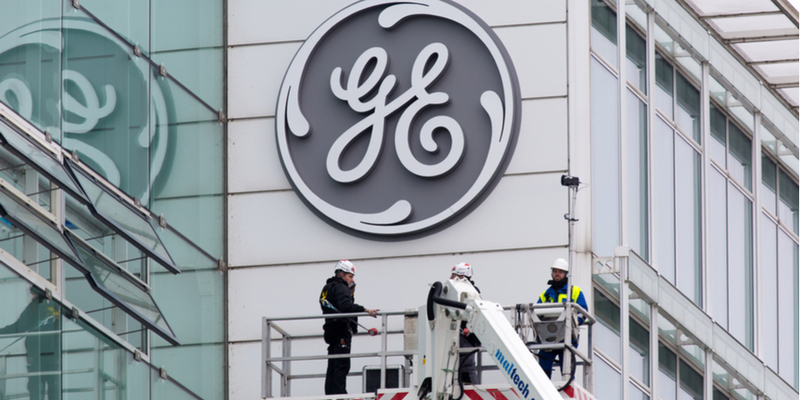 At the end of September, InvestorPlace’s Vince Martin discussed a whole host of reasons why investors should avoid GE stock. Not the least of which is the fact it no longer resembles the industrial conglomerate that once upon a time had a unified purpose. 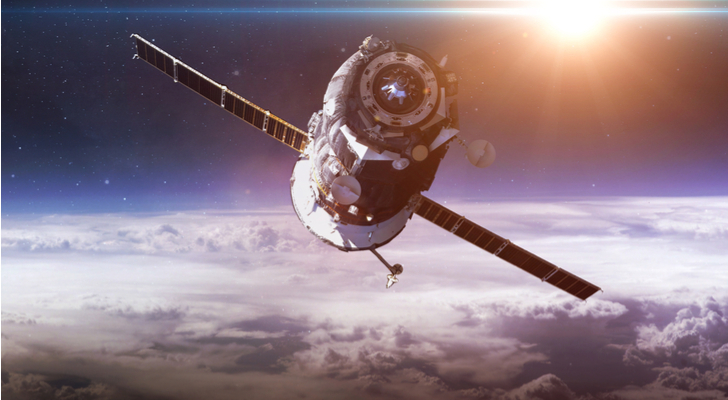 Now aimlessly adrift, its search for relevance in data analytics might never succeed, making it a lousy option amongst large-cap S&P 500 companies. I’m sorry GE fans, but if you combine the troubles facing its actual business operations with the pension woes, this is one S&P stock you ought to avoid until one or the other sorts itself out. An interesting article Oct. 13 brought to light that for the first time in years, the insurance premium companies pay on underfunded pensions is now 3.4%, higher than the 3.14% yield on high-grade corporate bonds, making it cheaper to pay down the pension deficit rather than pay the Pension Benefit Guaranty Corporation’s fee. 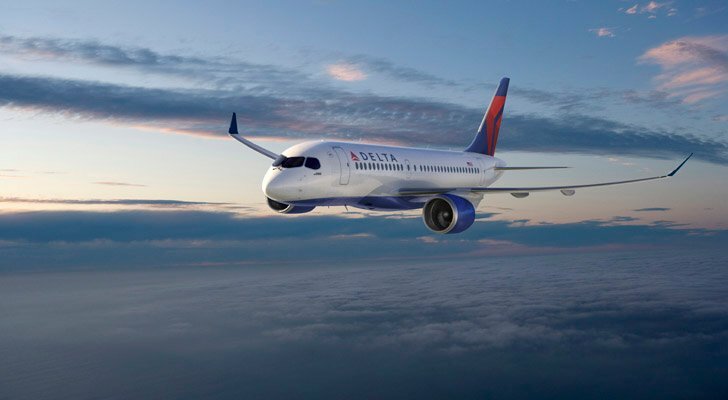 In March, Delta Air Lines, Inc. (NYSE:DAL) raised $1 billion in debt floating three-year notes at 2.875% and $1 billion in five-year notes at 3.625%; along with $600 million in cash and $350 million in treasury shares into its pension. At the end of 2016, Delta’s funding shortfall was $10.6 billion. While this lowers the deficit by an impressive 28%, its debt increased by $1.4 billion in the first nine months of 2017 to $8.4 billion. It all has to come out of one bucket making this nothing more than slight-of-hand financial maneuvering. I don’t normally pick stocks trading near all-time highs but when they’ve got a $2.2 billion shortfall like Harris Corporation (NYSE:HRS) and a pension fund that returned just 0.02% in 2016, I just can’t let it off the hook. How in Hades did it only return 0.02% in 2016, a year in which the S&P 500 was up 12% and its own stock was up 20%? As I look at its fiscal 2017 and 2016 10-Ks, I see an increase in the fair value of the defined benefit plan assets in 2017 of $648 million, or 15.2%, and a loss of $227 million, or 5%, in 2016. However, as I look at Harris’s latest 11-K, I can see that the company’s defined contribution plan for the fiscal year ended Dec. 31, 2016, increased by $63.9 million in 2016 to $6.14 billion, a 2.7% increase, which is mediocre at best. What’s dragging it down? Certainly not the 2.3 million shares of Harris stock that represents just less than 4% of the plan’s overall assets. It’s a little too high in my opinion, but not overtly so. Even though the company voluntarily contributed $400 million to its pension plan in Q4 2017, its shortfall is $1.3 billion, or 80% of the plan’s assets. The company has said it won’t make a pension contribution in 2018. Should the value of those assets fall between now and July 2018, that ratio will go right back to where it was prior to the $400-million contribution. Funny, but it managed to repurchase $710 million in 2017, 78% more than its voluntary contribution. If it keeps that up, the CEO will get rich and the employees won’t get paid what’s rightfully theirs. Harris can do a lot better. According to Bloomberg, Procter & Gamble Co (NYSE:PG) has the sixth-largest underfunded pension of all S&P 500 companies. That’s an interesting situation because PG is trading near its all-time high of $94.67. I thought the consumer products company was left for dead, but it turns out it’s got some fight left in it. Activist investor Nelson Peltz recently failed in his attempt to get a seat on P&G’s board by the thinnest of margins and now the company forges ahead with its transformation that appears to be gaining traction with its stock up 13% year to date through October 16 on top of a 9% gain in 2016. Despite making benefit payments of $602 million in fiscal 2017, it still has an outstanding pension shortfall of $5.3 billion, or 33% of its $16.2 billion in benefit obligations. Add to that $31.4 billion in debt and you’ve got a big overhang for a company that’s increasing earnings by less than 4% annually. It might be simplifying its business into three silos, but Peltz is right to keep pushing. It’s not doing enough to be at an all-time high. I usually don’t pay attention to press releases sent out by law firms launching class action suits because they often lack in merit. Nonetheless, when I saw the Oct. 9 press release suggesting that Arconic Inc (NYSE:ARNC) failed to prevent the tragic loss of life in the London fire at Grenfell Tower in June by knowingly selling flammable panels used in the tower’s renovation, I just had to include its stock no matter the outcome. 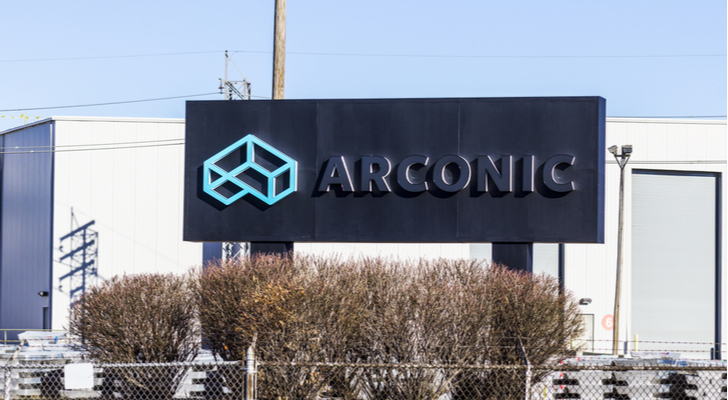 According to Bloomberg’s study, Arconic has a pension shortfall of $2.4 billion and its pension plan returned 0.81% in 2016, a poor return, if accurate. However, it’s the November 2016 valuation of Arconic’s stock by spinoff expert Joe Cornell that’s got me worried about its future direction. At the time, Cornell valued ARNC at $20 per share for an $8.8 billion market cap. Arconic’s former stablemate, Alcoa Corp (NYSE:AA) was valued at $27 per share. It’s up 78% from Cornell’s valuation; ARNC is up 35% since the split. That’s an excellent return for shareholders. However, with the London matter still hanging over its head, not to mention its pension shortfall, I wouldn’t touch it at current valuations. 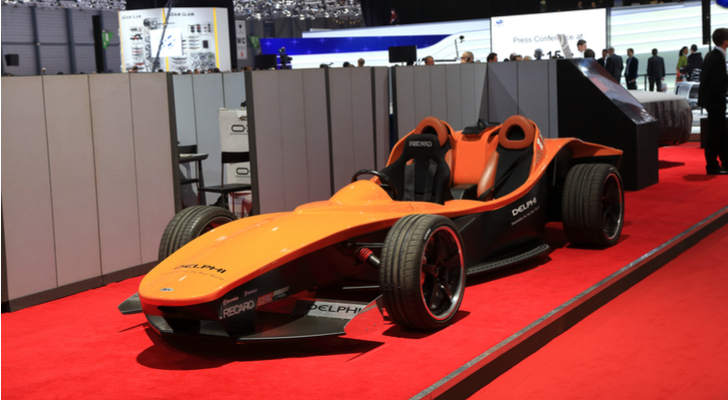 Delphi Automotive PLC (NYSE:DLPH) shareholders meet Nov. 7 to vote on the new names of the two public companies that will exist once its powertrains business is separated from its smart technologies business in March 2018. The powertrain business will go by Delphi Technologies and will trade under the existing DLPH and the smart tech business will be called Aptiv and trade under the symbol APTV. Delphi’s current CEO, Kevin Clark, will become the head of Aptiv, which often indicates which has the better potential in the long term. That side of the business is more profitable although both aren’t exactly growing by double digits. With the third lowest funding ratio of the 20 S&P 500 companies in Bloomberg’s report at 55.7%, the pension shortfall just adds an extra element of doubt to the equation. Add to that the rise of the electric vehicle and DLPH stock could be toxic over the next 12-24 months. It only makes sense that an energy company made Bloomberg’s list of the 20 most underfunded S&P 500 pensions. The more significant surprise is there weren’t more. Kudos to the energy industry for keeping up your end of the bargain. Anyway, I’m here to talk about Anadarko Petroleum Corporation (NYSE:APC), whose pension shortfall in fiscal 2016 was $2.3 billion according to Bloomberg, or 58% funded — a full ten percentage points lower than a year earlier. Well, it hasn’t helped that APC’s lost $11.3 billion over the previous two fiscal years and revenues have been cut by more than half. That kind of puts a crimp in voluntary contributions. Despite its poor financial results it did manage to make $120 million in contributions to the pension in 2016; it plans to make $231 million in 2017. Thankfully for employees, the pension plan achieved an actual return of 6.4% in 2016. However, given energy prices aren’t going anywhere, its got $3.3 billion in debt, and a pension shortfall of almost a billion dollars, it’s probably best to avoid APC stock. Article printed from InvestorPlace Media, https://investorplace.com/2017/10/7-stocks-with-huge-debts-to-avoid-at-all-costs/.